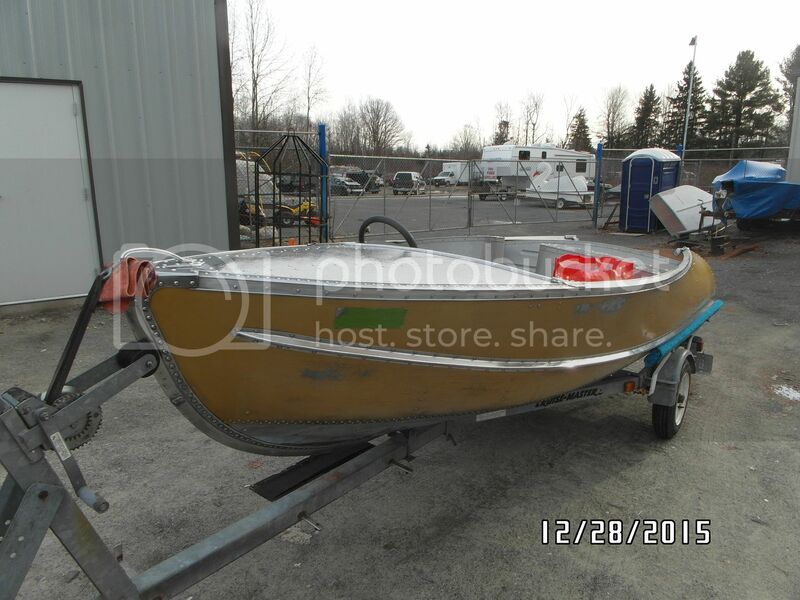 You are here: Home Forum Home Alumi-Classics fleet feather craft ? 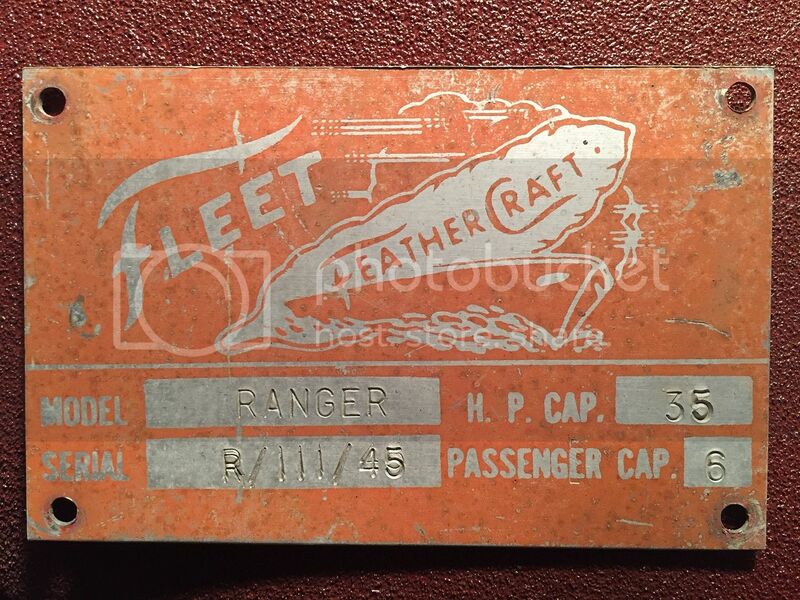 TOPIC:	fleet feather craft ? 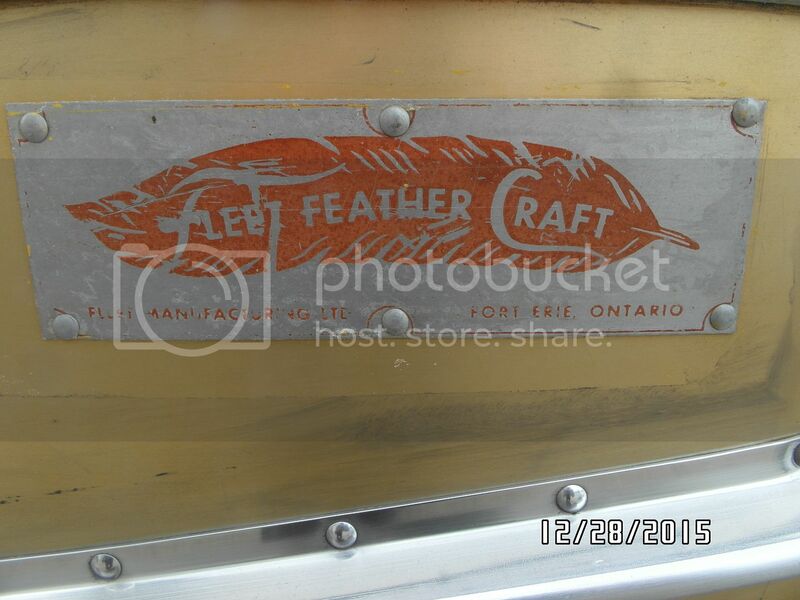 Fleet Feathercrafts were Canadian built for the Canadian market. I sent you an email and noticed you're in Ontario, is that where you found it? 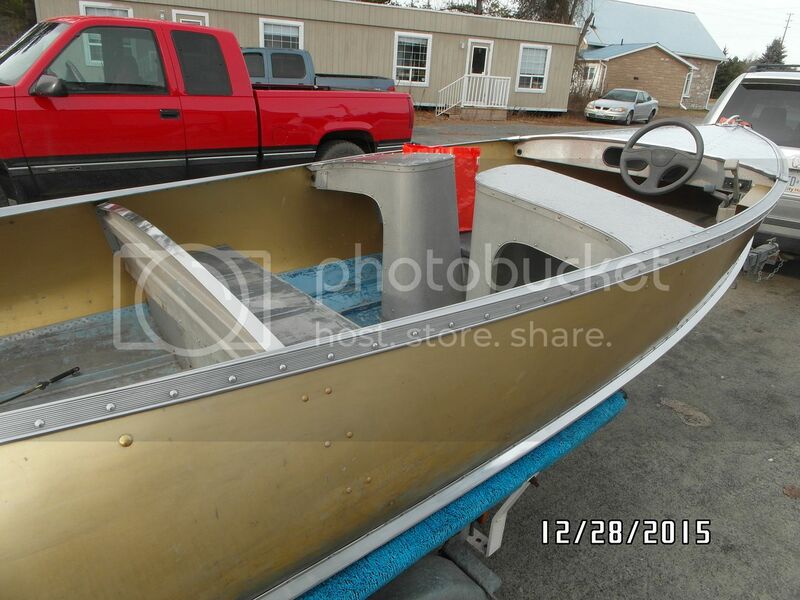 The serial # on US built FCs will ID the year and the model. The Canadian Fleets dont follow the same layout of serial# so they are harder to ID. Nice boat! Some dont like the anodized gold finish but I do. Since the gold is in good condition I hope you keep it. 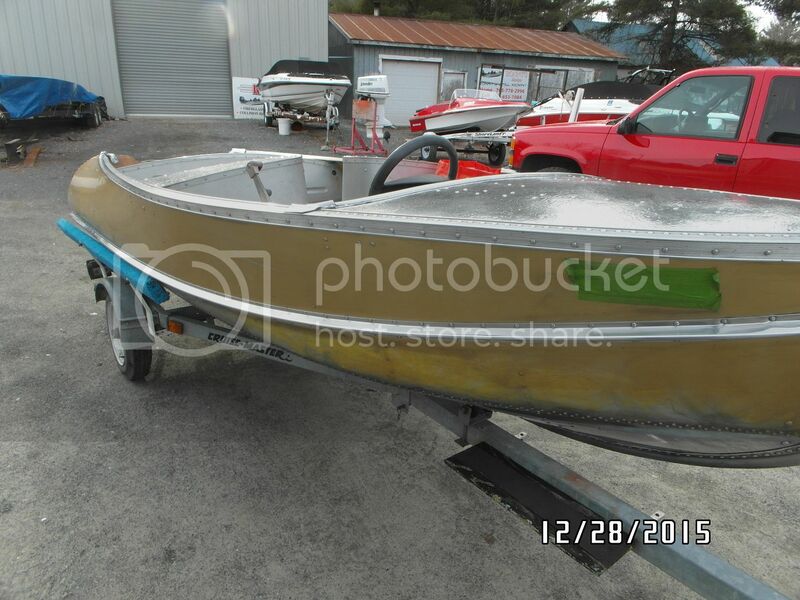 Some prefer the whole boat to match the shine of the bow. 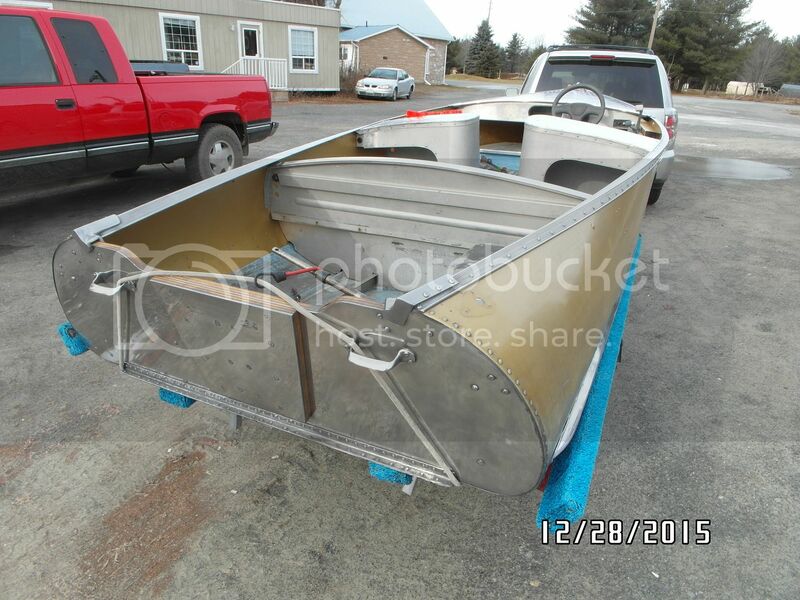 That boat was made in Fort Erie at Fleet Aircraft. They built trainer airplanes during world war two , after the war they built many things including Buses and Boats. When I was a kid I had 4 neighbors that were Managers at Fleet, they each had one built for them , one was polished aluminum 2 were the gold anodize and one was blue anodize ,one or two also had custom round tube trailers . There still one that I see quite often and he uses it alot for fishing . Were the first two letters on the registration FE. Try to find out more if I can. 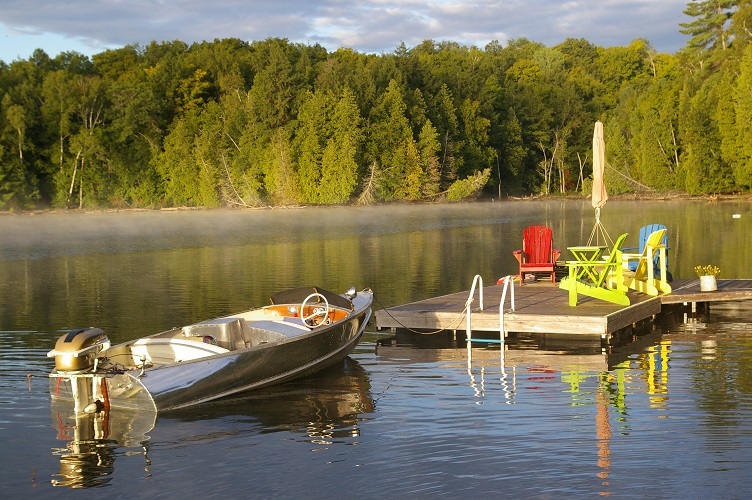 The boat is a 1957 or 1958 Ranger III, Serial # R/III/45 Made by Fleet Aircraft Company in Fort Erie, Ontario. That tinny is just downright CLASSY. = BRAVO!!! Resistance to tyrants is obedience to Almighty God. Hey, I am new to the board here. Nice Fleet Ranger !!! And very low number 45 . 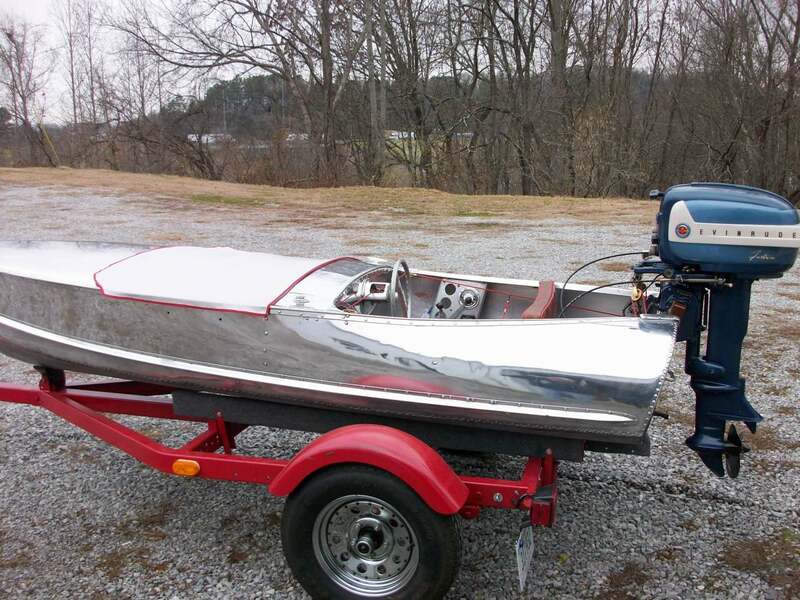 Mine was number 12 and have seen numbers as high as in the 350 range.I have posted vintage photos of boat shows where theses boats were sold in the fifties. I borrowed the photos from the son of the salesman back in the day. 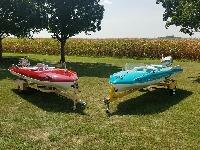 You may be interested in seeing them on the Feathercraft.net site in the miscellaneous top bar under FC in boat shows. 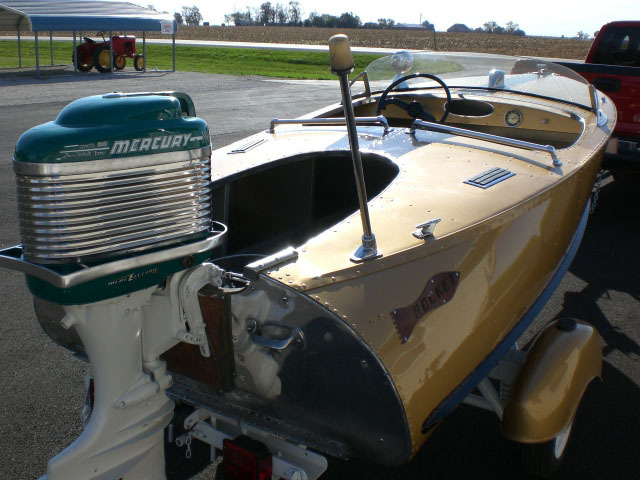 I am very interested in these boats as I live in Fort Erie where they were made for a brief time. I found another Ranger the other day way back beside a garage in the boonies. I hope to go see if it is for sale next week. 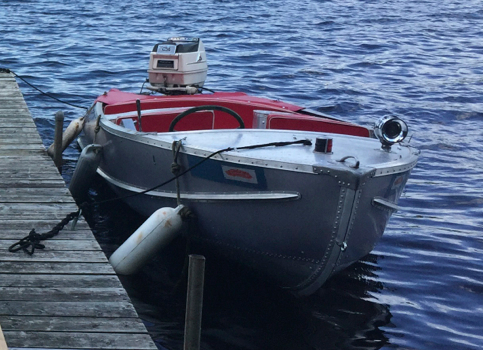 Enjoy your boat, they are a ton of fun. I would like to see it sometime if you are close to Fort Erie. WELCOME ABOARD. - NEAT rig, too. 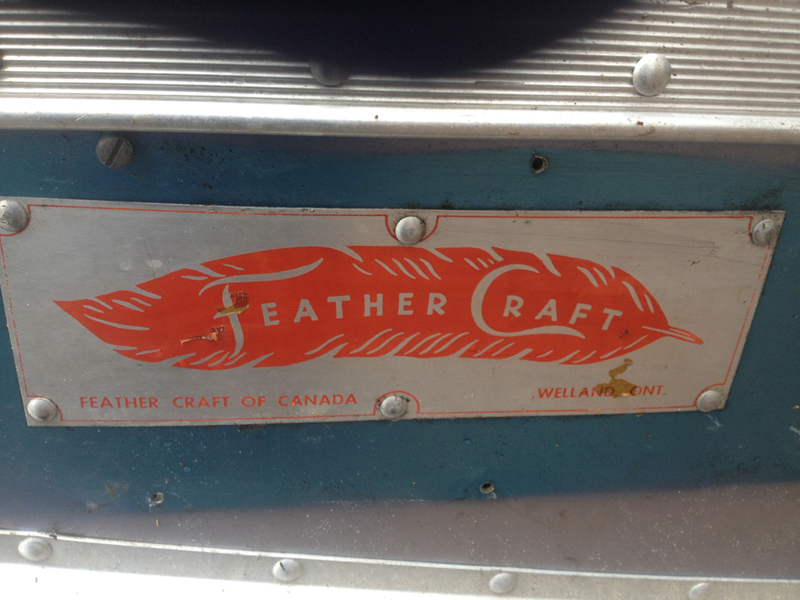 I know this is a bit of an old post, but I have a good example of the logo plate from my 1959 Feathercraft Ranger 3. 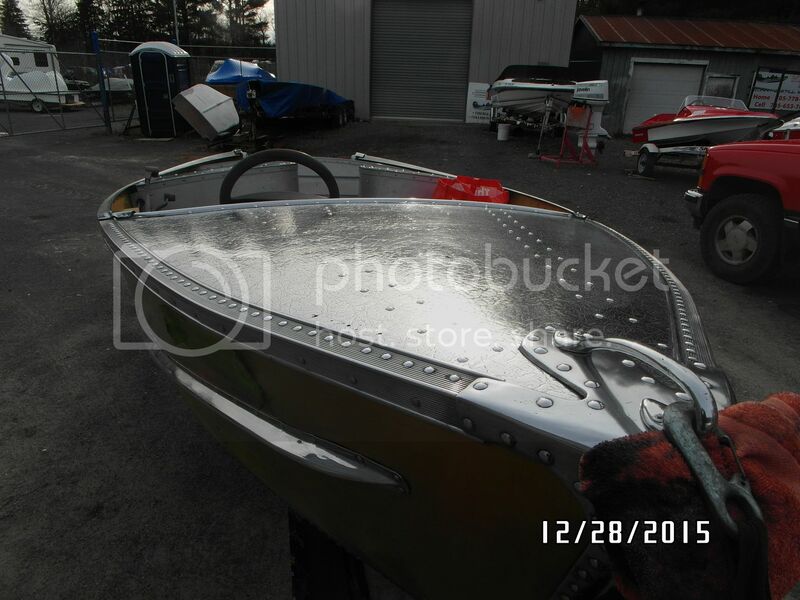 The plates had been covered by plexiglass panels with the boat numbers, so they've never seen weather. I don't think there are many examples of the Welland boats left!